The term "Halloween" is a contraction of "Hallowed" (holy) "evening", the evening before the liturgical feast of All Saints on November 1. The Solemnity of All Saints in honor of Early Christian martyrs and other holy individuals was in place by the Middle Ages. The pagan feast of Samhain, the Celtic Lord of Death, also began on that date, and was held to be the time when the souls returned to earth to haunt those who had done them ill. 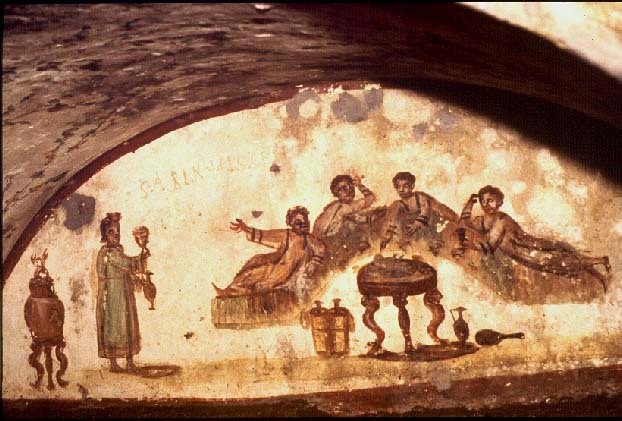 The Roman Feralia, a celebration of the dead in late October, also might have influenced the development of cult practices to honor and appease the dead that are preserved in very carnivalesque form in today's Halloween. In the Roman Catholic Church, All Saints is a Holy Day of Obligation. The following day, November 2, is the Feast of All Souls, or Commemoration of All the Faithful Departed. All the dead are prayed for, and in some countries, traces of pre-Christian ancestor veneration remain, such as the decoration of tombs with flowers and the laying out of food for the deceased. November 1 Masses are offered in churches connected to catacombs (for example, San Sebastiano, Santi Marcellino e Pietro), but the Pantheon is perhaps the most symbolic site for this important Christian feast, a pagan temple consecrated in 609 as a church to Mary and All Martyrs. Giornata di Studi: "Immagini vietate o Permesse? 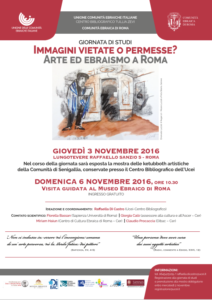 Arte ed Ebraismo a Roma"
Giovedi 3 novembre, 2016, Centro Bibliografico Tullia Zevi, Lungotevere Raffaele Sanzio 5, Roma. 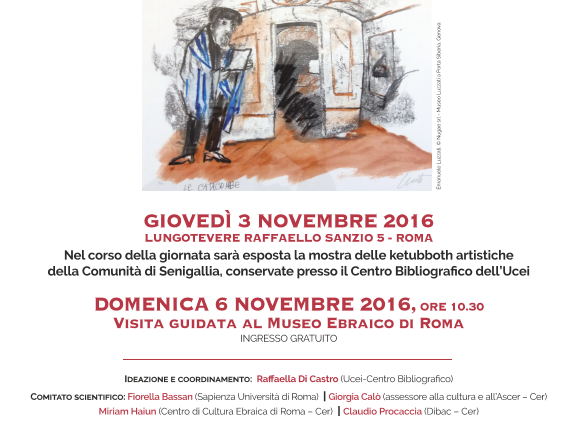 Nel corso della giornata sara' esposta la mostra della kettuboth artistiche della Communita ebraica di Senigallia, conservate presso il Centro Bibliografico Tullia Zevi della UCEI. 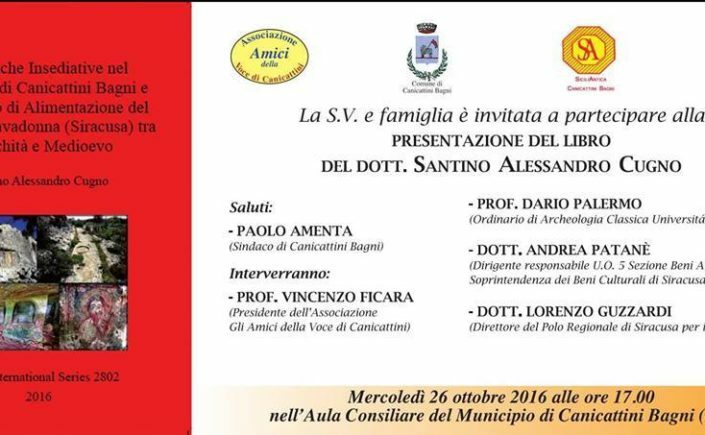 Domenica 6 novembre alle 10:30. 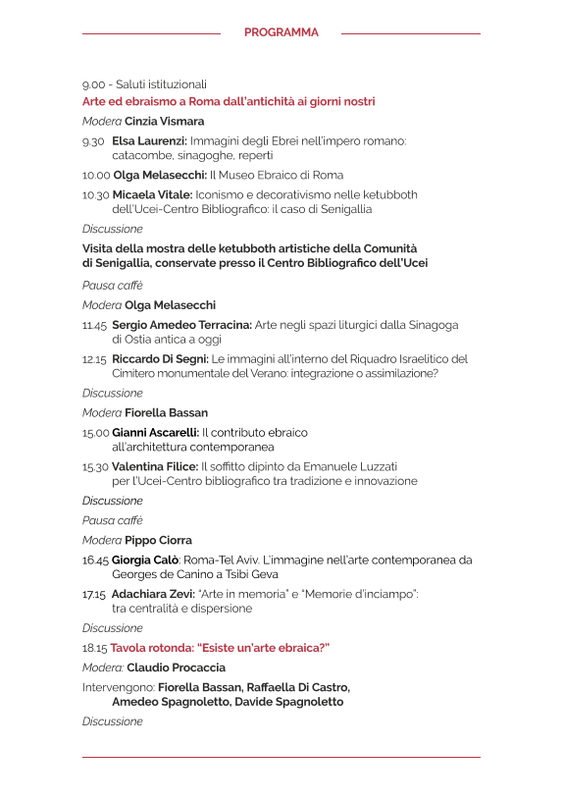 Visita guidata al Museo Ebraico di Roma con ingresso gratuito. 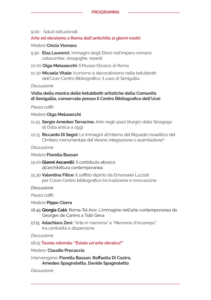 Segnaliamo in particolare la sessione: "Arte ed ebraismo a Roma dall'antichita' ai giorni nostri"
Modera: la prof.ssa Cinzia Vismara, con intervento della dott.ssa Elsa Laurenzi: "Immagini degli Ebrei nell'impero romano. Catacombe, sinagoghe, reperti". The USA television network TBN's weekly program "The Watchman" recently visited ancient Jewish and Christian monuments in the Galilee with Eldad Keynan, an expert on Northern Israel archaeological sites. The episodes will air on Thursday, October 27 and Thursday, November 3, 2016, at 11:30 p.m. EST. Series host is Erick Stakelbeck, Director of the Christians United for Israel Watchman Project, an initiative of "America's largest pro-Israel organization." Episodes also can be viewed at this link. Keynan, a published author on post-Second Temple Jewish burial rites and practices, actively researches interactions between Jews and Christians in the Ancient and Byzantine eras, and is moderator of the public Facebook discussion group, "Early Christianity and Judeo-Christianity in the Galilee" (which provides fascinating images and film clips of visits to ancient tombs). A 2015 ASOR notice of his work is here. The Italian news daily Corriere della Sera is reporting in its October 25, 2016 edition that the Italian government's Consiglio Nazionale dei Beni Culturali has assigned nearly 1.5 million euro to finance work in the Jewish catacombs of Rome ("I fondi dei Beni culturali per le catacombe ebraiche a Roma", di Paolo Conti). 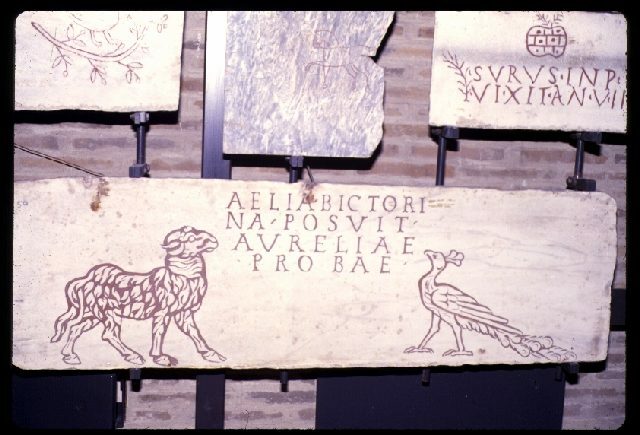 A major project will be a new phase of restoration of the Catacombs of Villa Torlonia in 2017. This ancient Jewish cemetery, which has been subject to numerous study and conservation campaigns but very rarely open to the public since the Vatican gave up oversight of the site in 1988, has awaited for some years new gallery stabilization and preservative treatment of the paintings, inscriptions, and other artifacts that were applied to the tombs of nearly 4,000 Jews who used these catacombs largely in the fourth and fifth centuries CE. 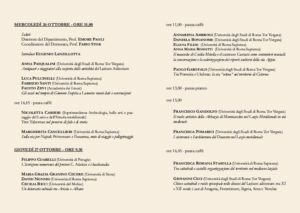 The Corriere article does not specify whether or not the 2017 project will lead to limited public access, in small groups by reservation, but the catacomb complex, even in its current state, is in stable condition. 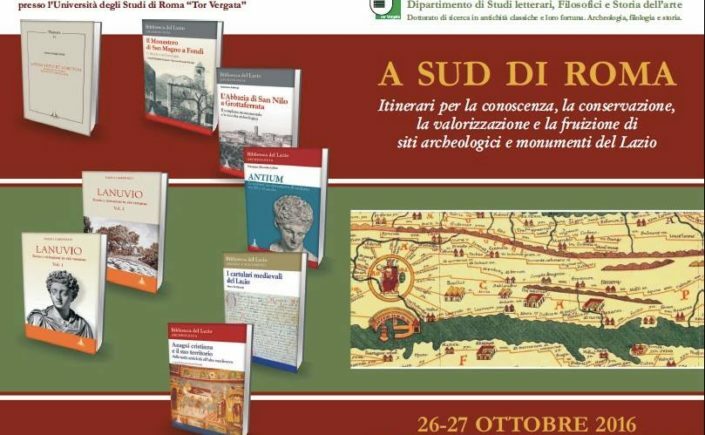 Much credit is due to the Israeli Antiquities Authority for getting the Italians to renew their commitment to safeguarding one of the largest ancient Jewish sites outside of Israel, as well as the continued advocacy on behalf of the Jewish catacombs by the Unione delle Communita' Ebraiche Italiane. Coming at the end of the Jewish High Holidays on October 25, this truly augurs a good and sweet year for Italian Jewry in 5777! 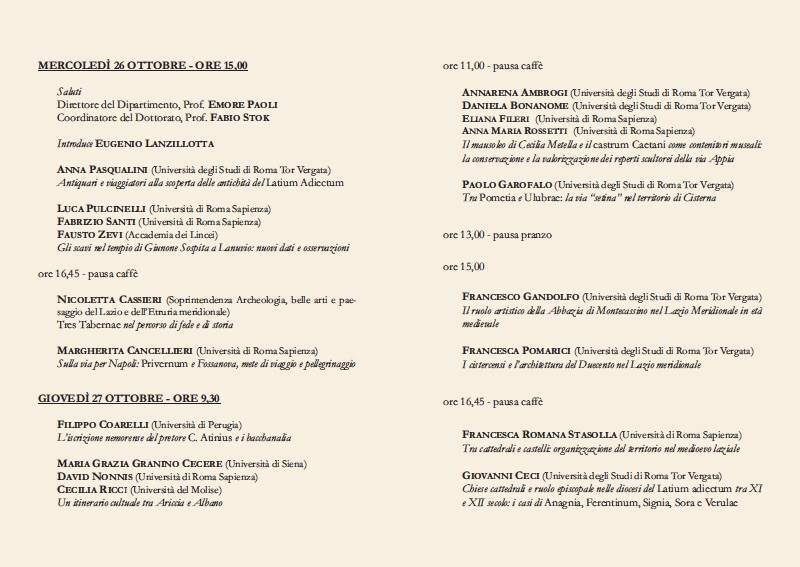 Contacts for the Jewish catacombs in Rome and Venosa are here. 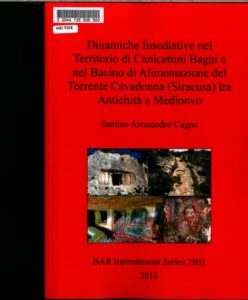 Presentazione del libro Dinamiche Insediative nel Territorio di Canicattini Bagni e nel Bacino di Alimentazione del Torrente Cavadonna (Siracusa) Tra Antichita e Medioevo (Oxford: British Archaeological Reports, 2016) di Santino Alessandro Cugno. Santino Alessandro Cugno. Dinamiche Insediative nel Territorio di Canicattini Bagni e nel Bacino di Alimentazione del Torrente Cavadonna (Siracusa) tra Antichita' e Medioevo. BAR International Series 2802, 2016. 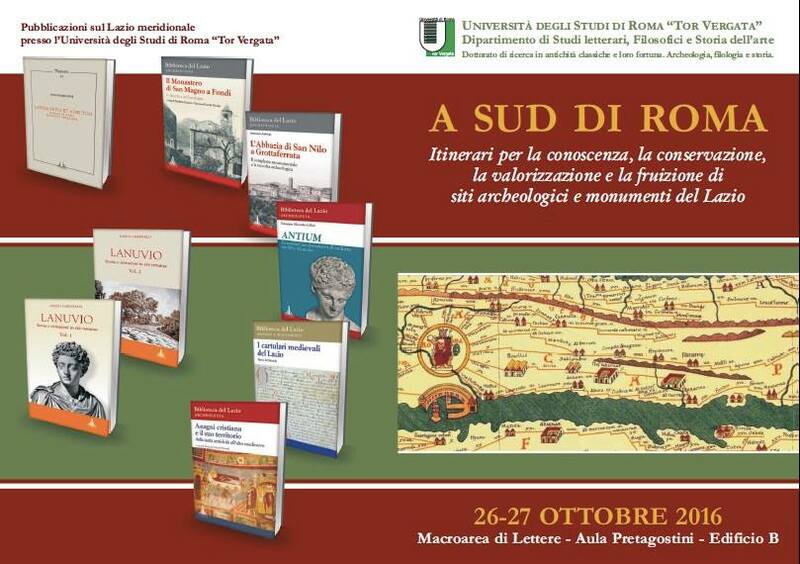 Estratto da una recensione in corso di stampa in lingua inglese/excerpts from review in press: " This volume is a structured and richly detailed presentation of topographical and archaeological data for human settlement in the area of a small city, Canicattini Bagni, about 20 km southwest of Syracuse on the island of Sicily. 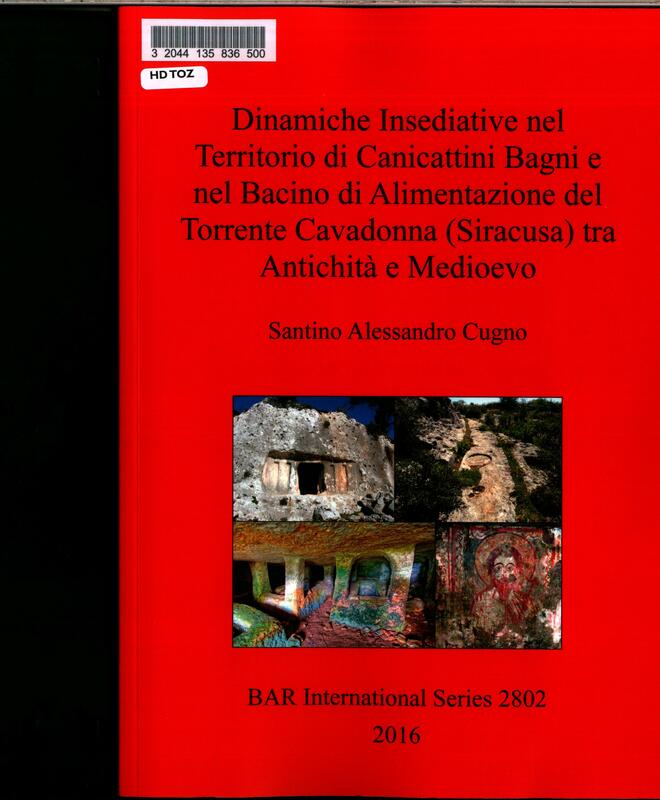 The author, Santino Alessandro Cugno, an area native, surveyed the territory around the Cavadonna river bed from 2008-2016 for material evidence to better document the chronology of the communities that have lived in the Canicattini environs from prehistoric times. The main body of the study concentrates on the historical period from which most of the monumental remains can be dated, though not precisely, to the Late Antique-Early Medieval eras (the book's upper chronological limit is around the start of the Islamic occupation of Sicily in the 9th century CE). 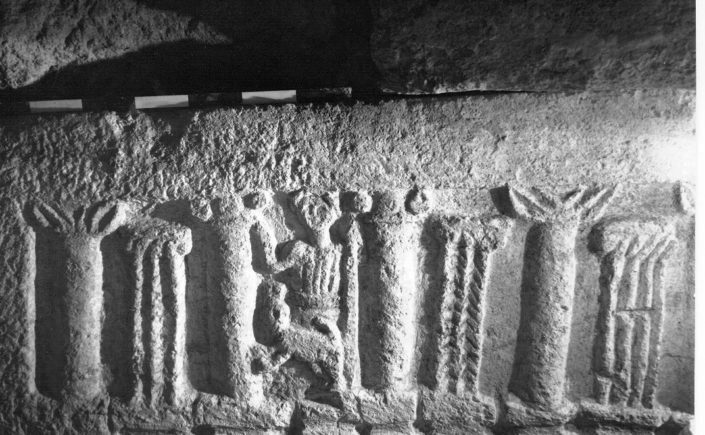 Due to the limited amount of scientific archaeological excavation that has been conducted in the Canicattini area to date, most of these monuments are funerary in nature: numerous, fairly accessible, but anonymous, with a few exceptions, one of which being a rock cut tomb chamber in the necropolis of Cugno Case Vecchie (table XXV.c) that preserves in part an incision or graffito into the wall of a seven-branched object, possibly the menorah, the most commonly-used cultic motif of Judaism in Late Antiquity. This is an amazing detail to detect and recover, considering that the area tombs continued to be vandalized and re-used over the centuries, leaving only the bare bones - pun intended - of their architectural form. 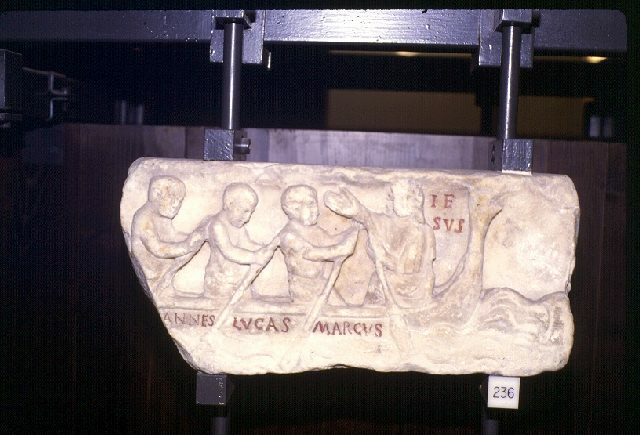 Cugno and his collaborators, in fact, were only able to document this apparently decorative (and proprietary) feature in March of 2016 after its presence was reported in the local press, using special illumination techniques to bring out the distinct scratches in the wall, which, from their placement and distinctive form, do appear to be ancient. ... Though not discussed in Cugno's volume, which does not venture into Syracuse proper, Paolo Orsi studied the "Jewish tombs of the Cappuccini" and took note of "many Jewish testimonies on the island" (of Sicily). Like Cugno, Orsi saw this "Jewish evidence" originating in the east, in Syria-Palestine. 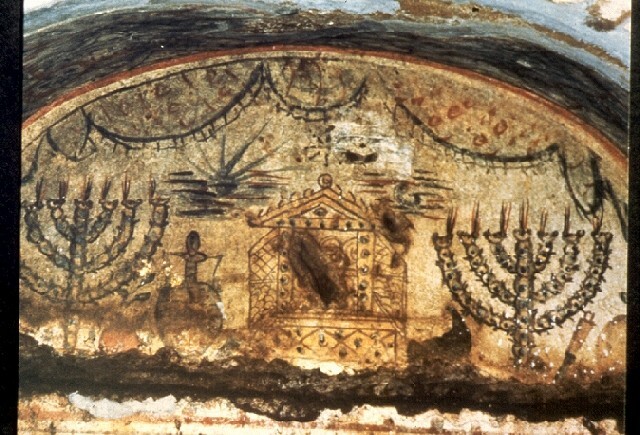 New Testament peregrinations aside, it is clear that Eastern Sicily was populated by Jews in the Ancient and Byzantine periods: material traces of their presence survive in the form of epitaphs, tomb decorations, including graffiti, small objects, and - possibly - one or more communal properties featuring ritual baths. Like Orsi a century ago, we hold on to the hope that more Jewish artifacts will eventually be brought to light, as Cugno appears to have done with the example at Cugno Case Vecchie. Together with original color photographs, a conscientious review of prior studies and new research, and a strong sense of mission to put his hometown on an equal footing with the neighboring sites of Syracuse, Palazzolo Acreide, Noto Antica, and other touristy Sicilian towns, Cugno's discovery makes his "Dinamiche Insediative" an exceptional point of departure for future exploration of Canicattini. Clearly, Cugno has awarded himself a life contract for such work." 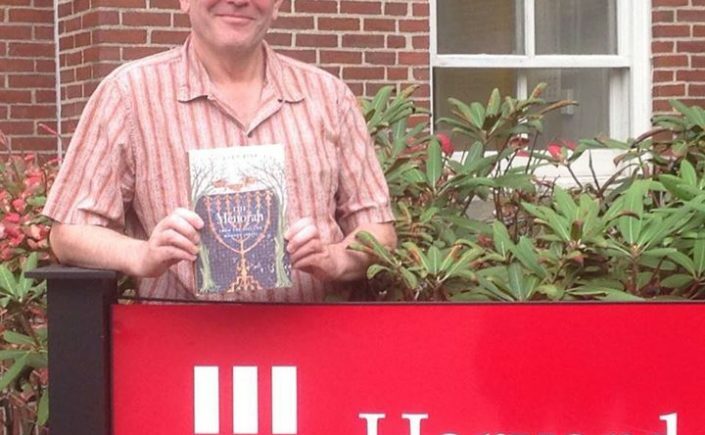 ICS warmly congratulates one of the 2015 Shohet Scholars, Prof. Steven Fine, upon the publication of his latest book with Harvard University Press, entitled The Menorah: From the Bible to Modern Israel (Cambridge, MA, 2016). In this work, Fine, the Dean Pinkhos Professor of Jewish History at Yeshiva University, analyzes the appearance of the Menorah throughout history, even in unexpected settings (and for this, there are illustrations, for in some cases, one really has to see it to believe it!). A must-read also for the latest on Fine's study of the Arch of Titus reliefs, that has brought to light new details about the original creation and decoration of this monument of the Triumph of the Roman Emperor Titus in Rome in 71 CE over the Jews in Jerusalem the year before. The second volume in the series, on the Cross, will come out this spring, and is authored by International Catacomb Society Vice President, Robin M. Jensen, The Patrick O'Brien Professor of Theology Biblical Studies/Christianity and Judaism in Antiquity History of Christianity at the University of Notre Dame. To order Fine's Menorah, please visit the site: http://www.hup.harvard.edu/catalog.php?isbn=9780674088795. It is also available for purchase in bookstores, and at book signing events, including one at the Metropolitan Museum of Art in New York City on December 15, 2016. *Description*: The aim of the workshop is to explore the impact and transformation of classical forms and genres in the Christian poetry of the 4th – 6th centuries CE. We hope to cover both Greek and Latin Christian poetry, and possibly other, classicizing late antique poems, for which the influence of Christian forms or genres can be demonstrated (see, for example, the transformation of tragedy into moralizing, quasi-Christian apologetic epic in Dracontius’ *Medea* and *Orestis tragoedia). * As a rough guide, the Lisbon event will deal with small-scale forms (e.g. epigrams*, epyllia,* and hymns), while the Heidelberg part will concentrate on larger-scale forms (e.g. epic and tragedy). In music, ‘modulation’ is used to describe the process of changing between the major and the minor keys, while ‘transposition’ is the rewriting of a whole piece onto another key. This might be a good metaphor for thinking about how the Christian poetry of late antiquity breaks free from traditional systems of generic classification. However, just as music keys have a particular mood in them, often culturally constructed, genres too are not only stylistically and thematically defined but their re-construction and reception also depends largely on their cultural milieu. Eudocia’s hexameter poem on St. Cyprian, for example, could be seen as both a ‘transposition’, in that it renders a prose hagiographical account into heroic hexameters, but also a ‘modulation’ of several ‘major’ genres, with echoes from the Homeric epics, the novel, and philosophical biographies such as Philostratus’ *Life of Apollonios*. In this case, how does the medium, heroic hexameters, influence the reception of the other, non-hexametrical genres in it? To what degree can epic become yet another form of the *Philosophenroman*? How easily can a poem like this (as well as other, ‘new’ epic forms, such as the cento, the paraphrase, and allegorical epic) fit under the traditional rubric of ‘epic’, and with what kinds of expectations would its readers approach it, if they did classify it as ‘epic poetry’? 1. Does the metre or genre in which a Christian poem is written influence its reception or interpretation? Do classical genres and metres still evoke an ethos? For example, are iambic metres still associated with invective? How do the various metres of the different poems in Prudentius’ *Peristephanon *influence our assessment of each poem’s tone and generic affiliation? How are Christian hymns written in hexameters (e.g. Prudentius’ *Hymn on the Trinity*) different from those written in more unusual metres (e.g. Synesius’ *Hymn*s or the so-called *Oxyrhynchus hymn* [P. Oxy. XV 1786])? 2. Were large-scale compositions thought to be more suitable for public performance? Can we detect a connection between genre and the rituals to which these texts may allude? Do small-scale forms and genres suggest a more private or bookish context? 3. How do the various genres and sub-genres of Christian prose (Gospel, Apocalypsis, homilies, hagiographies, passion narratives) inform the genres of Christian poetry? Do some of these give rise to new genres? How are they identified and received when integrated inside other genres? Are some perceived as more serious or ‘grand’, and perhaps ‘transposed’ more regularly into epic; conversely, do others provide more liberty in the choice of both metre and content? 4. How are the various stylistic techniques learned in the schools of rhetoric (e.g. *prosopopoieia, ekphrasis,* encomium) ‘modulated’ when incorporated into Christian poetry? Does their employment within larger- or smaller-scale forms make a difference in how they are received? 5. When Aratus set the scientific treatise of Eudoxus into verse, he was creating poetry ‘in the second degree’ (Genette  *Palimpsests: Literature in the Second Degree*). Do poetic paraphrases of Christian texts work within the same, Hellenistic tradition, and to what extent do Christian poets seem to be aware of this? ed. J.-D. Dubois, Paris, 275-299.
and S. Frangoulidis, Berlin / Boston, 79-89. Spätantike* (Millennium Studien 54), Berlin / New York. Antiquity’, *Studia Patristica* 36, 61-75. Pelagios Commons, an international collaboration dedicated to identifying and recording geographical references in historical documents, is seeking an active and engaged Community Manager to join its Investigative Team. The successful candidate will have everyday responsibility for working with the Pelagios Commons community and supporting the various Special Interest Groups. This includes a wide range of outreach activities, including managing the Commons website and forum, social media presence, offering expert guidance, producing general documentation, minuting meetings, and running and participating in international meetings, conferences and workshops. As a member of the Investigative Team, the candidate will also fully engage with the project's theoretical and technical development. For further details, please see: https://hr-jobs.lancs.ac.uk/Vacancy.aspx?ref=A1683. Shortlisted applicants will be invited to an interview by Skype in the week commencing 14 November. Funded by the Andrew W. Mellon Foundation until December 2017, Pelagios Commons is one of the largest and most successful Digital Humanities initiatives working in the field of Linked Open Data. More information is available at: http://commons.pelagios.org.